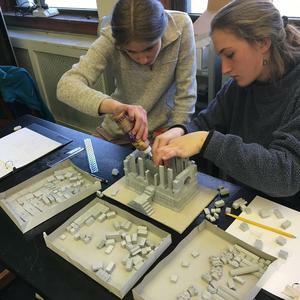 Waldorf High School students spent the third week in April immersed in the study of one of four subjects: Food and Nutrition, Math-Inspired Sculptural Art, The Human-Animal Connection and The Art of Architecture. 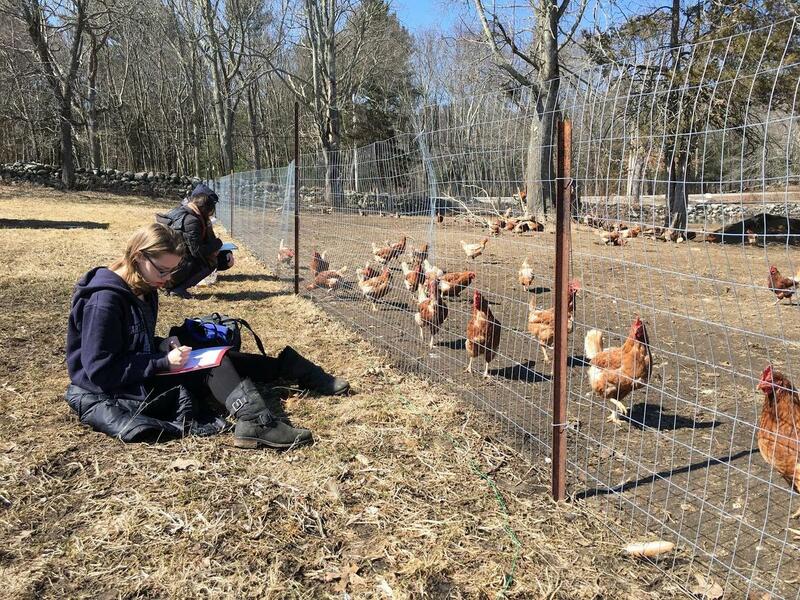 Learning took place both on and off campus with trips to Codman Farm, Wolf Hollow, Lovelane Special Needs Horseback Riding Program, Massachusetts Institute of Technology and Boston planned throughout the week. In Food and Nutrition students were guided by the following questions: What do we need from food? How does it sustain us? How much is enough? Their week included practical, hands-on work, including food preparation, preservation, basic meal planning, and simple cooking lessons, discussions on the role of GMOs and visits to both restaurants and grocery stores. Students enrolled in Math-Inspired Structural Art explored the beauty of math by creating three-dimensional structures inspired by geometrical forms and mathematical goals. As part of this study they created giant polyhedral sculptures (approximately six feet in diameter) and installed them in the school as permanent art installations. 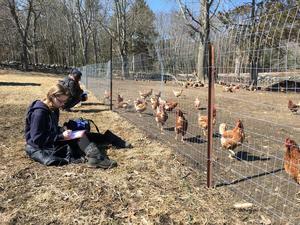 In the Human-Animal Connection students looked at the some of the unique characteristics of the complex human animal relationship utilizing video, print material, art and direct observations during field trips (Wolf Hollow, Codman Community Farms and Lovelane Special Needs Horseback Riding Farm). Those enrolled in The Art of Architecture visited a different area of Boston or Cambridge each morning. Tracing historical influences from ancient to ultra-modern, they explored, sketched, and reflected on their experiences outside and inside iconic architecture from Harvard Yard to City Center and Back Bay. After lunch in the city, they returned to WHS to design and build their own original architectural scale models with a different material each afternoon. By connecting hands-on creative work with direct immersive experience and deep reflection, all students spent the week learning about our community, our world, and ourselves.